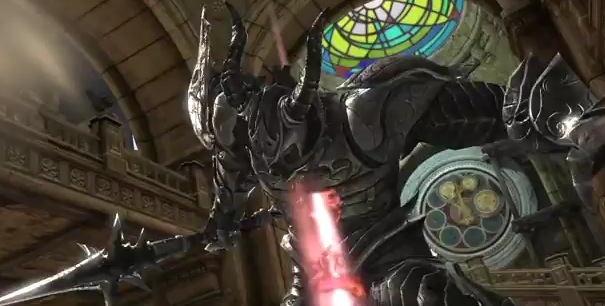 The hack and slash masterpiece for the iOS platform, Infinity Blade 2, has reaped $5 million in sales since its December 9th release. The franchise is now a $30M property as well, including the spin-off book, soundtrack and an Arcade game, said maker Chair and publisher Epic. On the 14th of December, Infinity Blade was said to be the fastest grossing app ever, having been estimated to garner $1.7M in sales in just a few days. The game is build using Epic’s Unreal Engine 3 technology and was an early demonstration of just how powerful the graphics chips on Apple’s A6 chip were in comparison to even console machines. Previously, mobile platforms had been fodder for cheaply produced knockoffs or small indie teams making great, if low-budget games. Now, with the numbers reaching incredibly respectable numbers for a mobile game, it shows that the platform has legs and offers even ‘high-budget’ projects a place to thrive outside of the console crowd. It doesn’t hurt that Infinity Blade 2 is a really, really good game. The first edition was demonstrated at the release of the iPad 2 and subsequently released as a tech demo, then a full game. The second edition is even better than the first, offering more customization and collection of items.